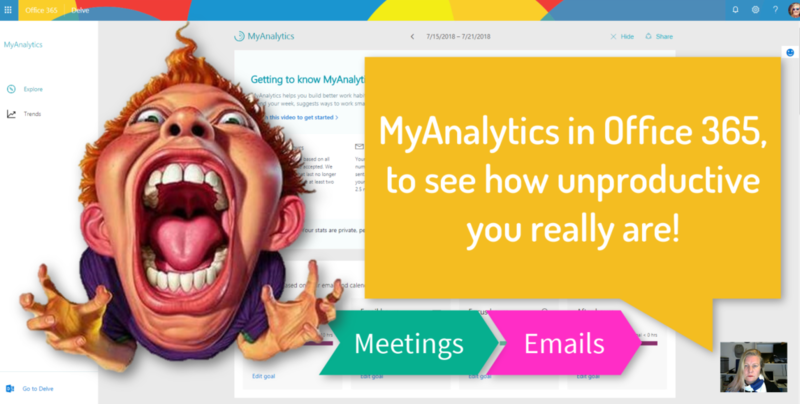 So #MyAnalytics in #Office 365 monitors your emails (sent and received) as well as meeting time and then gives you analytics around your productivity. Of course it doesn’t track the other time spent working, but it’s still a good indication. Especially when you look at how much time is spent multitasking while in meetings (facepalm). Only available in E5 subscriptions, it’s also available as add-on for select plans.